If you’ve been putting holiday purchases on your credit card, the latest Bank of Canada announcement will come as a relief – Canadian interest rates are staying at 1.75% for the rest of 2018. On December 5, 2018, the Bank of Canada (BOC) announced that it would hold its overnight rate until at least the next announcement, which is slated for January 9, 2019. For those charging holiday purchases, this is good news. It means there will be more time to pay for presents before interest rates increase again. 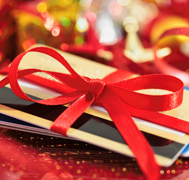 However, this doesn’t mean that you should let holiday bills linger. For most major credit card providers, interest starts being charged by the due date of the next statement. So, if your payment was due by December 21, and you paid your balance in full before then, you wouldn’t be charged interest. But if you waited until after December 21, or only paid part of your balance, you would be charged interest. The annual interest rates for most credit cards isn’t cheap either; many hover around the 18% to 22% range. So, an added Bank of Canada interest rate increase on top of that would increase the cost. Plus, when you are charged interest on an unpaid credit card balance, the interest starts from the day the purchase was made, not the date of your statement. So, if you made a purchase on November 23 (Black Friday) but your statement doesn’t come due until December 21, if you don’t pay your balance in full, you’ll be charged interest for that purchase starting from November 23. What’s the alternative? Deal with debt now – before the interest rates come due. If you can’t afford to pay off your holiday credit card balance in full by the statement due date, there’s an alternative: a personal loan. Most personal loans have fixed interest rates, so you’ll always know what you have to pay, and when you have to pay it by. At Prudent Financial, we’re one of the lowest-cost equity lenders in the GTA. All you need to qualify is a car or home, or comparable asset to use as collateral. Contact us today for a free consultation, before holiday bills start piling up and the Canadian interest rate rises again. Call 1-888-852-7647 or visit www.prudentfinancial.net.